PLEASE NOTE:Pictures are for illustration purposes only. Please check specs tab for actual sizes and other information. Cymbals and Hardware are NOT included. All Concept Maple finishes are available on any of our listed configurations. Please contact us directly to order/confirm your finish choice if ordered online. Concept Series is a new line of PDP drums that are available in both all-maple or all-birch shells. All shells are 7-ply, except for the snare which is 10-ply. Through PDPs research with the DW Custom Shop, they have found some particular detail features that have a big effect on sound and quality. PDP believe that every drummer deserves these features, so they included DW-style STM mounting systems, True Pitch tuning, F.A.S.T. tom sizing, proportional counter hoop sizing*, and Remo drum heads. Snare drums come with the DW MAG throw-off and boutique-style copper wires. Bass drums come with die-cast claw hooks, and all drums feature the new retro-inspired dual-turret tube lug. Concept Maple drums are available in six specialty high-gloss finishes, all with chrome hardware, except for pearlescent black (black hardware). 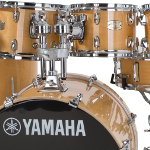 Concept Birch drums share all of the great features of Concept Maple, but with all-birch shells. They are available in two different configurations with a full range of add-on drums. Choose from two transparent lacquer burst options, both with chrome hardware. What if boutique-inspired drums loaded with pro-features were more affordable? 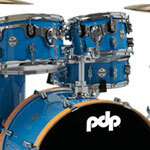 Drummers can now get a wide variety of PDPs most popular Custom Shop sizes and colours without breaking the bank. PDP are proud to introduce a new concept, a completely re-imagined line of PDP drums designed for every drummer. Its called the Concept Series and it has a fresh new look and a sound that already has drummers talking. Choose from Concept Maple or Concept Birch shells in a myriad of todays most popular configurations. 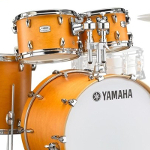 You can then add toms or bass drums to build custom-style kits to suit just about every musical style. In addition to all of the above, the Concept range of kits also offer high-end features like STM (Suspension Tom Mounts), True Pitch tension rods, MAG throw-off, die cast low-mass claw hooks, proportionate counter hoops and durable lacquer finishes. 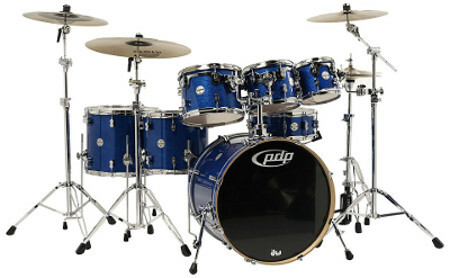 All of this combines to provide you with a kit that unquestionably lives up to its DW roots. To give drummers even more control over their sound, DW created its patented True-Pitch rod system. The rods feature 5mm threads rather than the 12/24 thats standard on most other drums. To compare, there is 1 thread every 0.8mm on our True-Pitch rods (about 20% more threads), versus 1 thread every 1.05mm on most other drums. The result is a more exacting tuning process. True-Pitch rods are only available in chrome and gold. The first time I laid eyes upon this drum kit I was instantly in love with it. Honestly I was just blown away by the aesthetics, the blue sparkle finish that we have currently on display just catches your eye in the best possible way, so much so that I found myself just walking around the kit just admiring how it looked. Everything just looks like it belongs there, I know a lot of people think that the dual turret lugs look ugly but I strongly disagree, maybe on any other drum kit they would look to big and bulky but I find that with this particular set up it fits the bill just wonderfully. Before you even sit down you get this sort of grandiose feeling that your about to play the best that you have ever played because this kit demands attention and it needs to be played. My first impressions of this kit can be summed up in one word, presence. Its a 10/10 so far for me. To put this bluntly everything is solid as a rock. When I sat down to play for the first time I got very into what I was playing and didn't realize that I was actually hitting quite hard. Now in my experience a lot of drum kits under heavy hitting tend to wobble quite a bit and no its not a massive issue but over time that can damage the tom arm and the actual clamp itself so what you need is something strong enough to really take those hits and be able to just stay ridged. I get the sense as well that it would take a lot to knock any of these toms out of tune from just playing alone, the dual turret lugs do a fantastic job of holding the drum in tune for long periods of time before you have to go back and re-tune them. So I finally sit down and the first thing I do is hit the kick drum and honestly it was like someone just clapped me round the ear. It has so much attack and I should also mention that im playing this on the stock heads that came with it so points to PDP for giving you good drum heads with it to start off, its thunderous. After I got my head rocked by the kick drum I looked to the snare drum, and after a quick tune up and a little bit of tinkering with the wires I found that this is one of the most articulate snare drums iv'e ever had the pleasure of playing. Anything that I tried to play this snare just did it without breaking a sweat, very snappy when playing just a straight groove but then when you want to slow down a bit and maybe add a few ghost notes it gives you this lovely almost warm undertone, honestly I was blown away by how much this could do without me having to change the tuning too much. Now onto the subject of toms, when you have five of them and aren't used to playing such a large kit your almost stuck for choice on what to hit first so naturally being a bit of a rock player myself I went for the big 16 by 16 floor tom and I was not disappointed. It has this wonderful low end rumble and a very warm tone to it that really compliments the kick drum the same goes for the 14 by 14 floor tom they both just compliment each other really well when your doing fills or just incorporating them into beats to give this really fat back beat. The 12 by 12 and 10 by 10 rack toms both sing beautifully and really help to give this kit a real shift in dynamic potential. Now we get to my favorite bit the 8 by 7 rack tom, this thing is insane for such a small drum it really has a big voice. The first time I hit it I thought I hit the wrong one but no this little 8 inch tom blew my head off and I found myself repeatedly going back to it to do more fills. All in all the sound of this kit is amazing and if I could I would love to be able to take this into the studio and really see what it can do. Maybe someday I will be able to do that. my final thoughts on this fantastic drum kit is that of awe and envy to anyone who ends up buying one, I love this drum kit so much so that i'm really considering buying one for myself. My only slight criticism would be that because it a seven piece drum kit it does take up a lot of space so be warned, if you are thinking of getting one be sure you have the space to be able to play it properly so you don't accidentally scratch it. But that really is the only thing I can think of because really this drum kit is amazing and I highly recommend to anyone looking to upgrade their current setup to get one of these, because honestly this kit wants to be played and it wants you to push the limits of your own ability so you will get better.